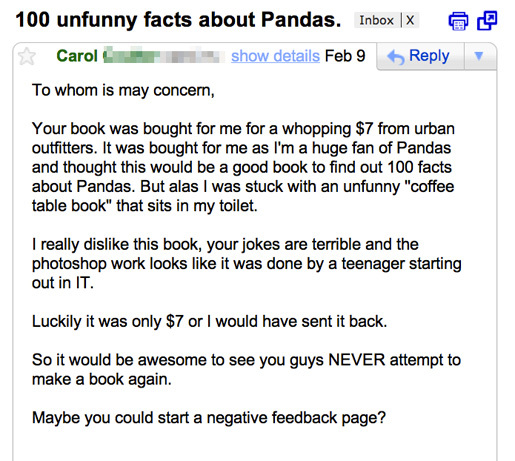 Below is some feedback from the “100 Facts About…” library. A selection of correspondence from confused readers. Call me stupid if you want but I bought this at a glance believing it to be actual facts since it says facts in the title!! I don’t think it’s right that it shold be called facts if it is actually a load of rubbish “wacky” humour. 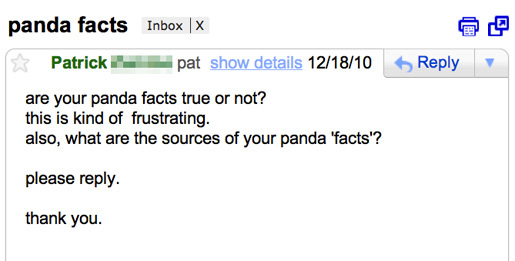 Praise for “100 Facts About Pandas“.